Decency. Justice. Truth. Equality. Freedom. Democracy. These aren’t just words: they’re the values we, as Americans, cherish. Right now, they’re all on the line. We face the greatest crisis of leadership we’ve seen in our lifetimes, and powerful voices are filling the void, sowing hate and division among us. We’ve witnessed an Administration that aligns itself with dictators and refers to white supremacists as “very fine people.” They’ve torn babies from their mothers’ arms and put children in cages. They’ve slashed taxes for corporations and the wealthiest among us — placing the burden on the middle class. They’ve actively fought against efforts to combat climate change. Time and again, they’ve sabotaged our country’s health care. And they’ve attacked our free and independent press at every turn. We know America is better than this — but it’s on us to build it. We’re going to have to fight for it. I’m ready to take on that fight alongside you. That’s why, today, I’m proud to announce that I’m running for President of the United States. I want to be clear: ours will not be a campaign against our current president. It will be a campaign FOR the very future of our country. FOR the people. Together, we will fight FOR a country with strong public schools in every zip code. A country where one job is enough to pay the bills. A country with full, universal health care for every single American. Together, we will fight FOR a country where getting a college education doesn’t mean taking on a lifetime of debt. Where middle-class and working families are prioritized with tax breaks, not corporations or the wealthiest 1%. Where every single person can retire with dignity. Where every single person can breathe clean air and drink clean water. Where black women aren’t three to four times more likely to die in childbirth than white women. A country where for-profit prison businesses — a billion-dollar industry — are a thing of the past. We’re going to fight FOR an America where all our civil rights are respected. We’re going to seek truth and speak truth. That’s my promise to you. Ours is a fight born of optimism — of the promise of what our country can become if we unite behind a common cause. Thank you for giving me the opportunity to earn your vote and — most importantly — your trust. P.S. Our campaign will not take a dime from corporate PACs who have gamed our political system. 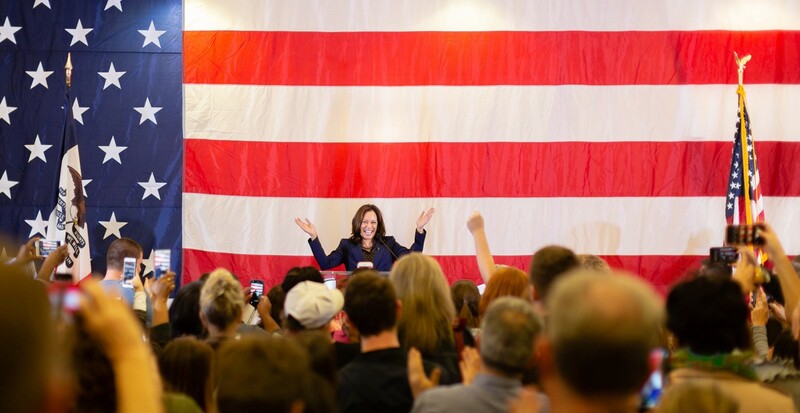 Help us build the foundation for a movement that will win in November 2020 and beyond by donating $10 or more today.